Long-vanished are the days when mainstream America recoiled at the thought of ingesting raw fish: today, even heartland supermarket delis stock spicy tuna rolls. 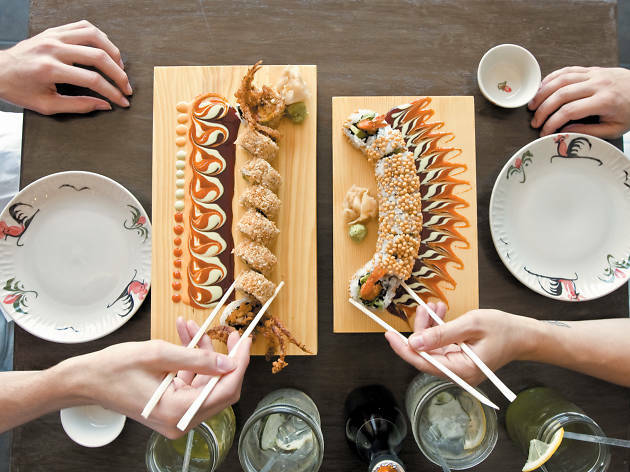 Discerning diners, though, pass over such mass-market items for top-tier, pristine sushi and sashimi at the best sushi restaurants in L.A., the best sushi restaurants in New York and all across the country—putting themselves in their chefs’ hands to experience an interactive, often open-ended feast. Where once date night might have meant getting cozy over a pepperoni pie (“It’s the best pizza in America,” he said as he wiped some cheese from his chin), today it might mean settling in for a night of non-stop, Edomae-style nigiri (emphasizing local species and warm vinegared rice) fueled by junmai daiginjo sake. If you’re especially lucky, it will be at one of these extraordinary shrines to the art of Japanese seafood: The best sushi restaurants in America. 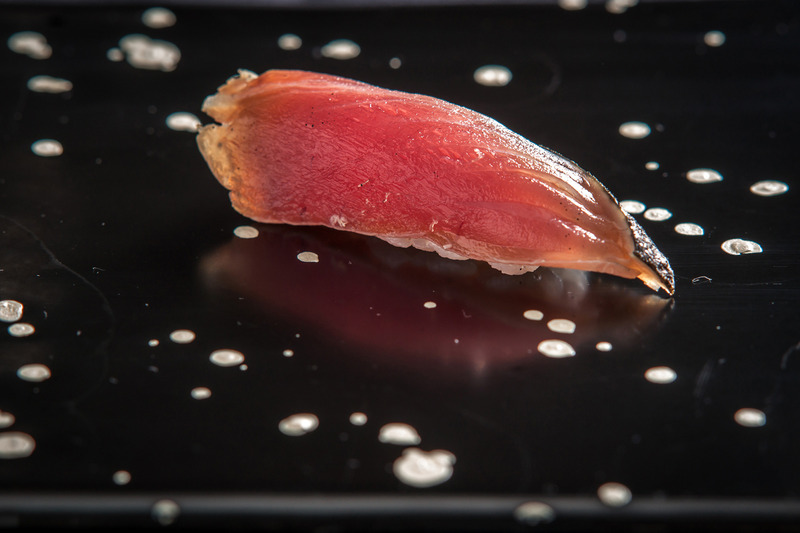 Last we saw Daisuke Nakazawa, he was toiling over egg custard as the modest apprentice in the film Jiro Dreams of Sushi, humbled by the rigors of an 11-year stint under the world’s most distinguished sushi chef, Jiro Ono. 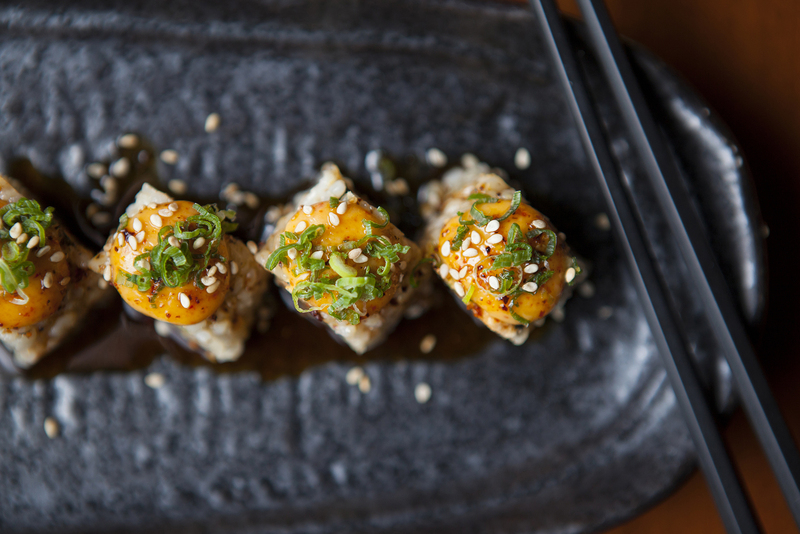 The pupil has emerged as the teacher at this sleek West Village sushi bar. 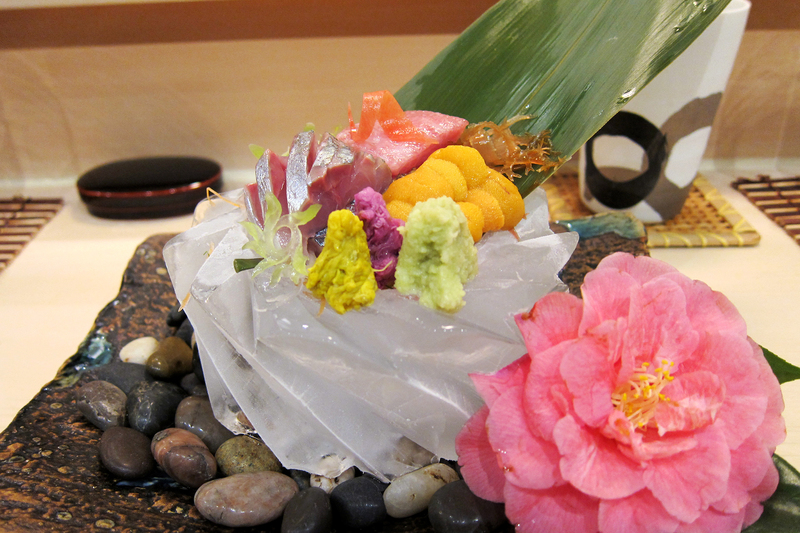 Whereas his master was stoic, Nakazawa is a jokester who places a live squirming shrimp on your plate just for a laugh. 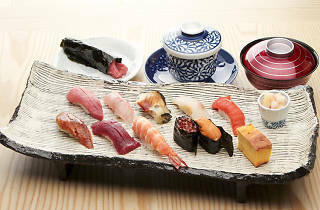 But his pranks don’t undercut the seriousness of his nigiri, like pike mackerel, featuring a gentle brininess that gives way to unctuous fat as you chew, and wild yellowtail from Hokkaido, with fatty tails that tantalizingly overhang rice so tenderly packed, it would fall to pieces if you looked at it askew. 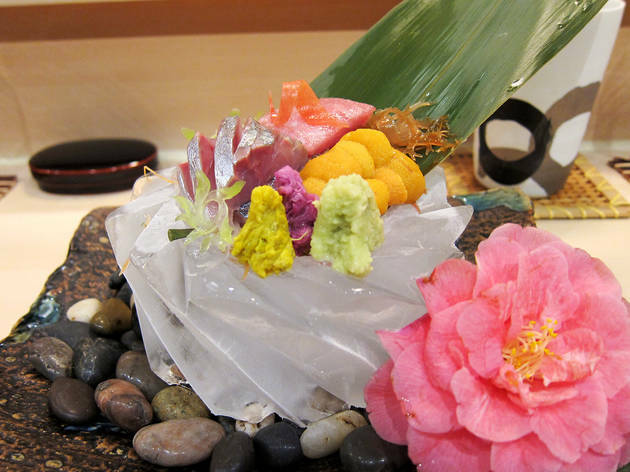 At times, delicately flavored creatures like scallops or fluke are outstripped by pungent wasabi or yuzu. 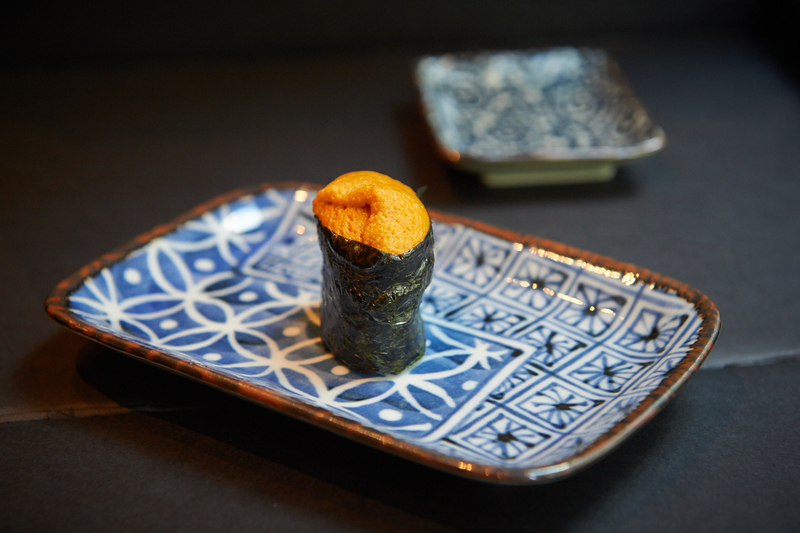 But the meal at Sushi Nakazawa is like a wave, its gentle lulls rendering the crests all the more thrilling. Tyson Cole swears he didn’t set out to transform the Austin dining scene when he opened Uchi in a 1920s bungalow 14 years ago; he simply wanted the “creative freedom to get other people as addicted to Japanese food as I was.” But he did both, becoming the first American itamae to receive a James Beard Award for Best Chef and opening a larger but no less warmly chic spinoff, Uchiko, along the way. Despite the expansion, there’s no room here for pretension: for all his technical mastery and cutting-edge proclivities, Cole’s menus change often and range widely enough to appeal to novices as well as connoisseurs, who can compare, say, three different kinds of sea urchin while their warier companions sample tempura-fried cauliflower alongside crisp sakes and white wines. 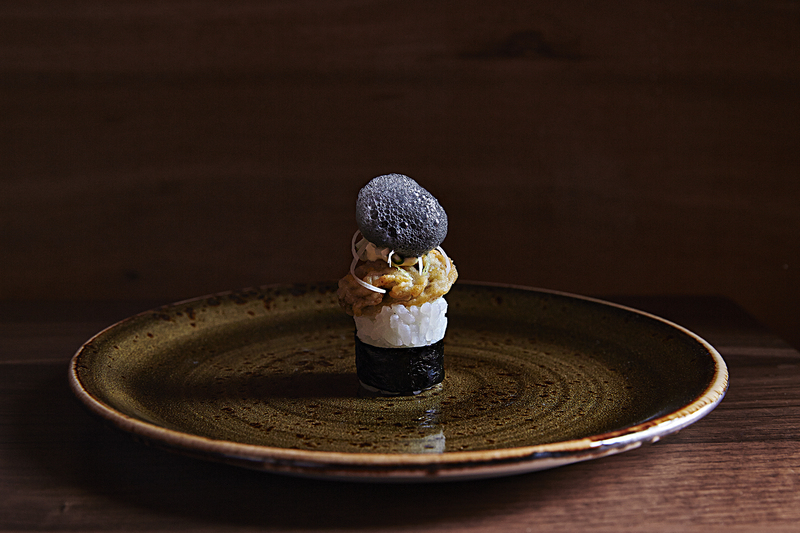 L.A. is awash with sushi bars, but Urasawa is at the top of the heap. 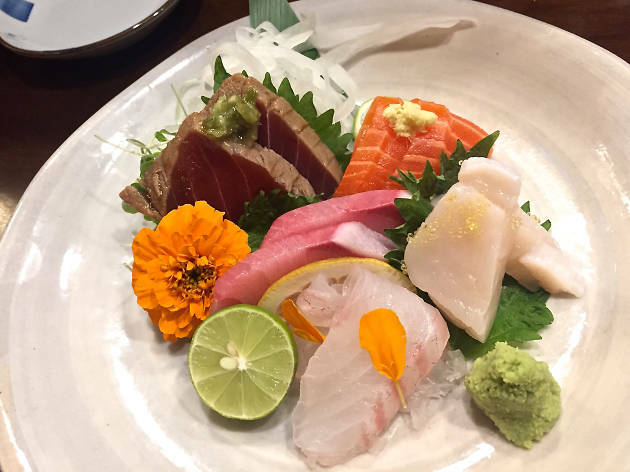 Flown in daily, the fish is prepared by chef Hiroyuki Urasawa, who trained under Masa Tamayaka from NYC’s Masa, and one assistant. 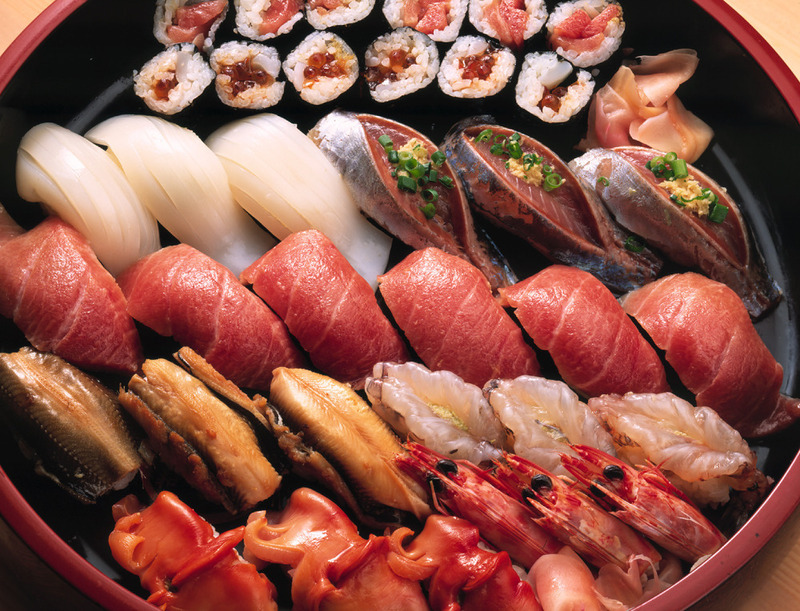 Meals stretch to 20-plus artfully prepared courses, ranging from snapper to toro to mackeral sashimi. 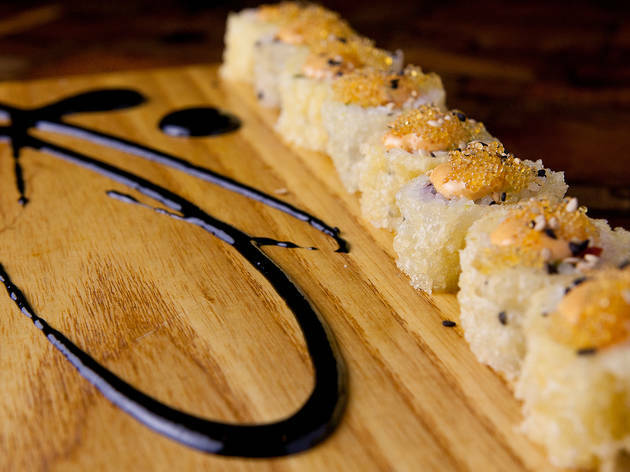 Booking is imperative (there are no walk-ins) and an early-evening slot is best: if you arrive at 8pm, each course will arrive as soon as you've finished the previous bite. 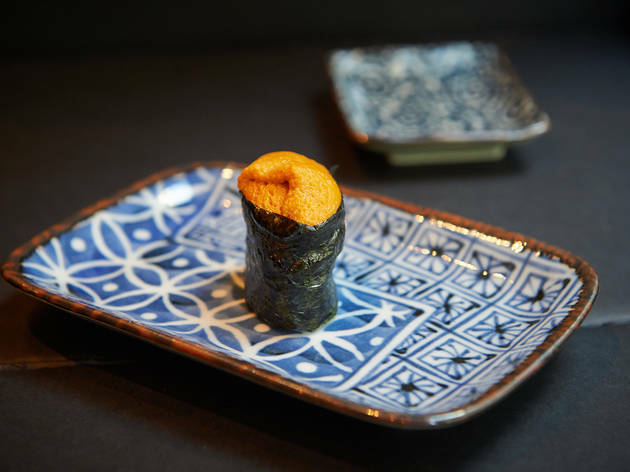 You’ll be dropping an insane amount of money at Urasawa (it has been named, time and time again, one of America’s most expensive restaurants) but, for a sushi fanatic, it is well worth the money. Flashy. Splashy. Cold-hard cashy. As a joint project with mega-restaurateur Stephen Starr, Iron Chef star Masaharu Morimoto’s flagship is everything you’d imagine it to be. High ceilings, undulating lines and color-changing neon give the two-story space a disco vibe; snazzy cocktails and specialties like yosedofu—tofu made before your eyes—or the infamous fugu (blowfish), prepared three ways in season, only heighten the spectacle. 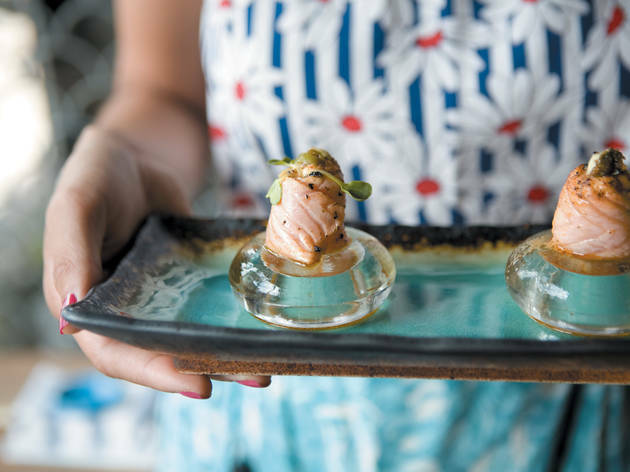 But after a decade and a half, the substance here remains equal to the style, whether you’re savoring such rarities as keiji salmon and firefly squid à la carte or splurging on the gorgeously crafted seven-course chef’s tasting. 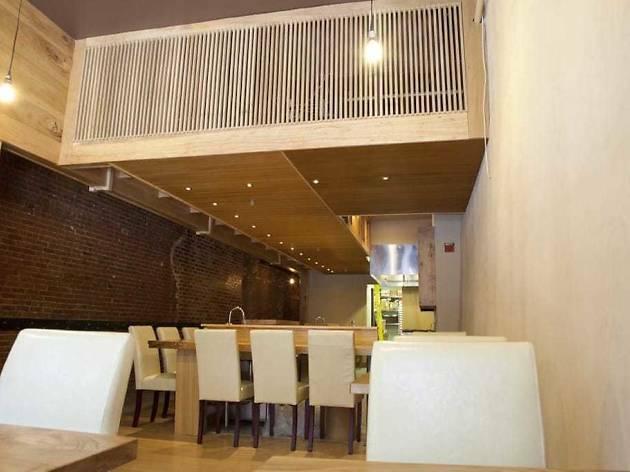 Though Boston was hardly devoid of Japanese restaurants in 2007, it had never seen anything quite like the arrival of this rustic-industrial Leather District hideaway. From needlefish sashimi served with the deep-fried head and backbone to tomalley aioli-topped lobster-caviar nigiri, every last luxury presented by chef Tim Cushman was as exquisite as it was exotic (as were the beverage pairings his wife Nancy, as the city’s first sake sommelier, oversaw). And so they remain. 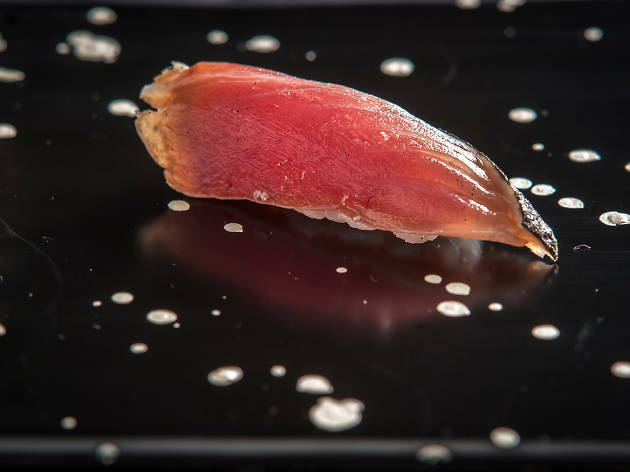 At 17-20 courses, omakase at O Ya fetches a small fortune (around $285), but as you marvel your way through striped horse mackerel in leche de tigre or the famous foie gras with chocolate-balsamic kabayaki and raisin-cocoa pulp, the tab will shrink in comparison to the blissful memories being made. 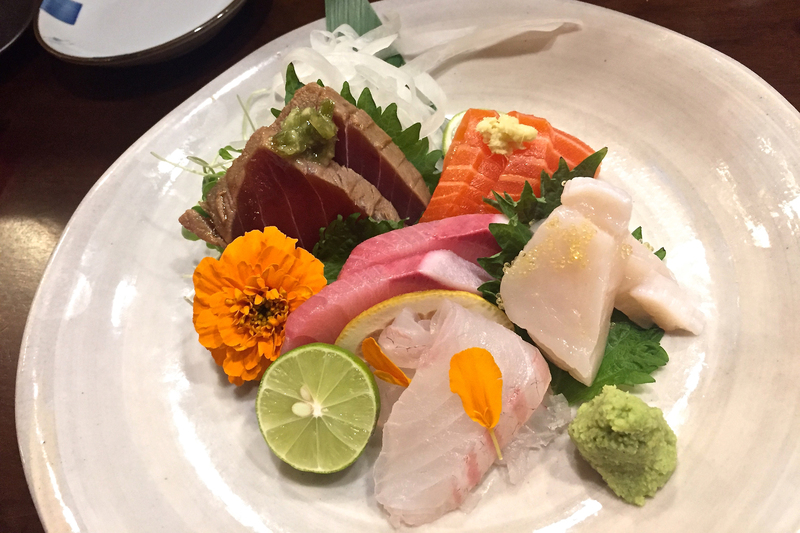 A sushi bar and yakitori izakaya headed by former Musashino chef Kazu Fukumoto, this Swedish Hill spot serves perfect raw fish in addition to deeply flavorful marinated and grilled yakitori options. Fukomoto himself is always on site and everything that leaves the kitchen does so with his blessing. Try to get a seat at the sushi bar, where the chef will check in on you in his typically gracious manner. Bonus: The music is always a kooky mix of country, ’80s and techno that drowns out any chance of pretension. 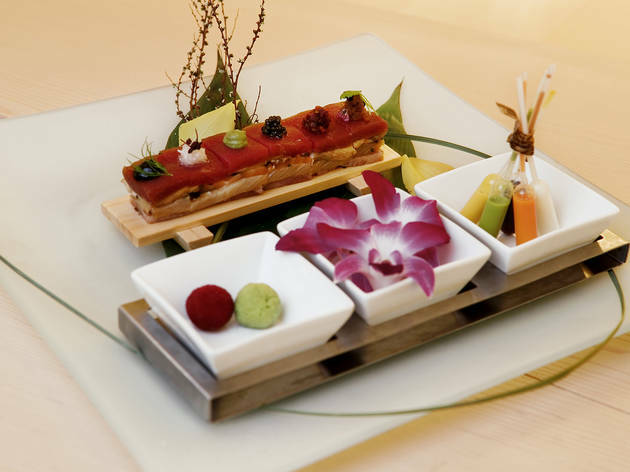 Order the chef’s choice sushi platter, with offerings such as fatty tuna with pickled daikon, yellowtail with Thai chili mayo and creamy ankimo monkfish liver. 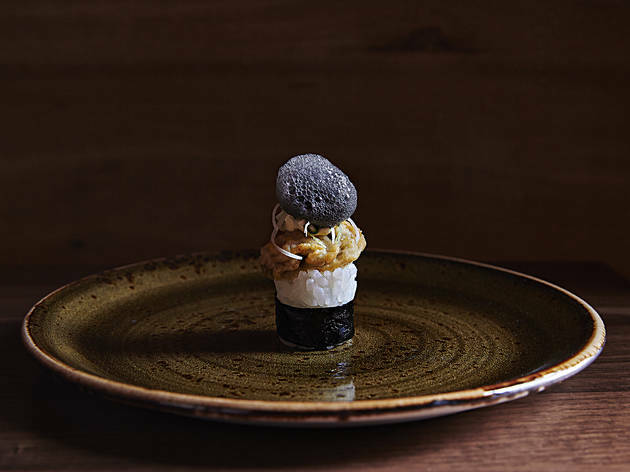 This upscale restaurant serves omakase (chef’s choice) only: $98 for seven courses or $165 for ten. The carefully calibrated progression of dishes is designed to achieve a distinctive balance of tastes, colors and cooking methods (roasting, steaming, frying, simmering and served raw). 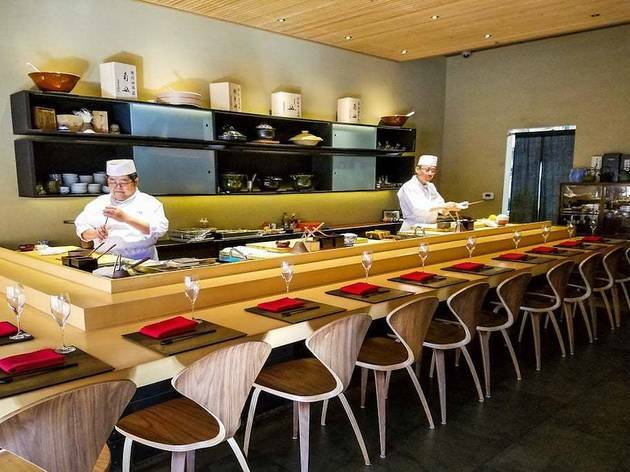 Mitsunori Kusakabe, an alum of Nobu Tokyo, New York and Miami Beach, oversees the sushi bar. 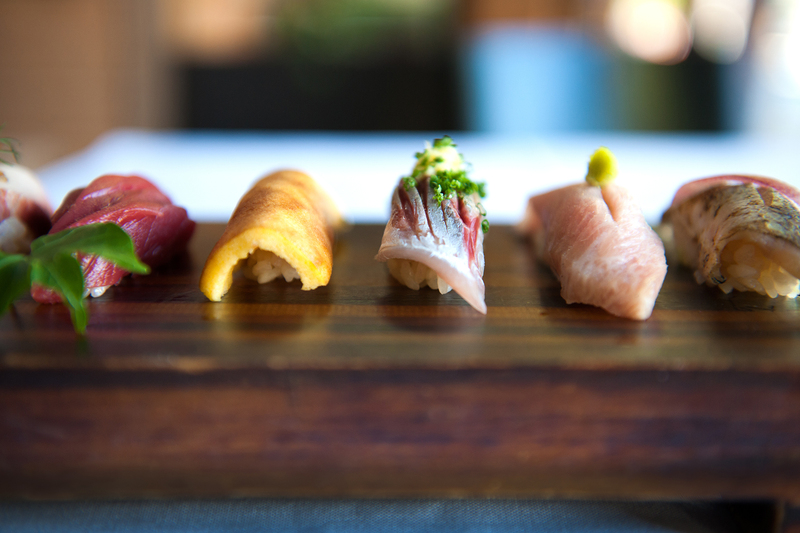 After leaving Miami, Kusakabe honed his skills at Sushi Ran, the revered Sausalito sushi restaurant. He is an expert in traditional Edomae sushi techniques, as well as a certified blowfish butcher—order accordingly. Although you can also order everything a la carte, the $60 omakase menu at Melvin and Carlo Vizconde's restaurant is the way to go at this buzzy River Town spot, and includes more food than you can eat—rich oyster and uni shooters doctored up with ponzu sauce and quail eggs, seared tuna maki adorned with truffled scallions and takoyaki, a fried dough ball hiding a tender nugget of octopus. 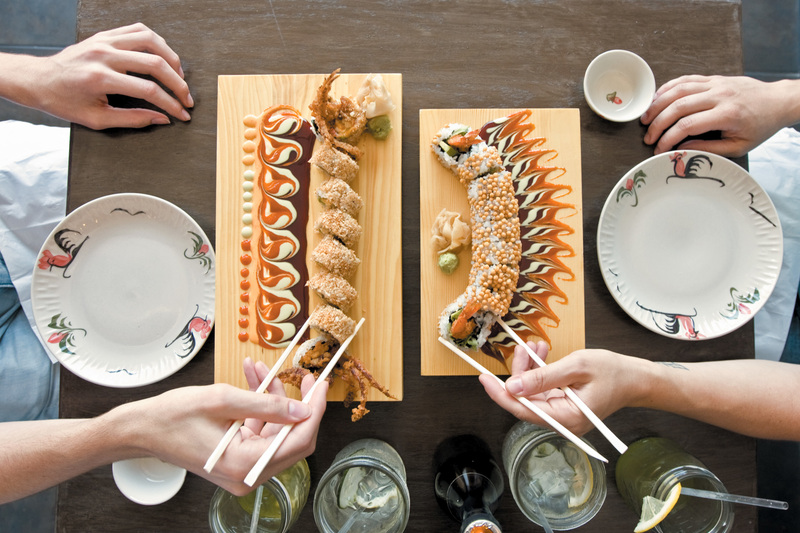 While these are all fun, utterly delicious takes on Japanese food, the decadence stops short of overwhelming the beautiful fish in the maki and sashimi. 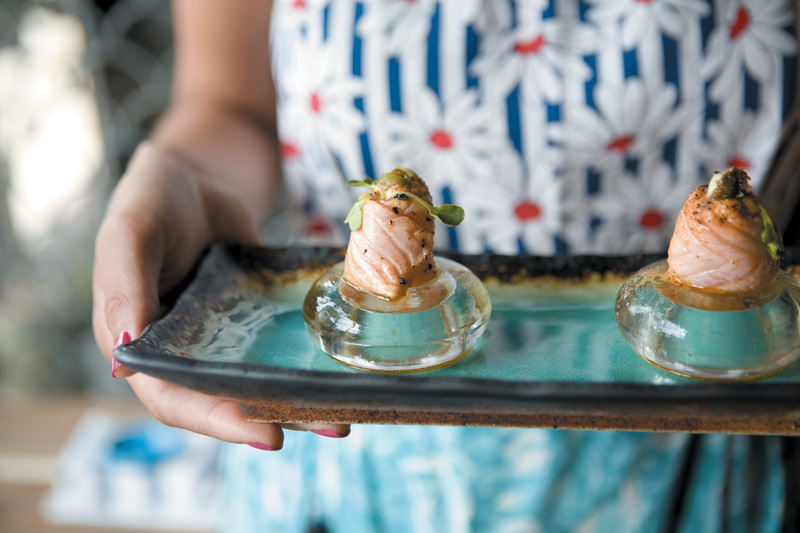 Tuna and salmon are packed into a balanced roll with jalapeño, avocado, cilantro, masago, chili and lime, and the omakase ends with a generous plate of sashimi. 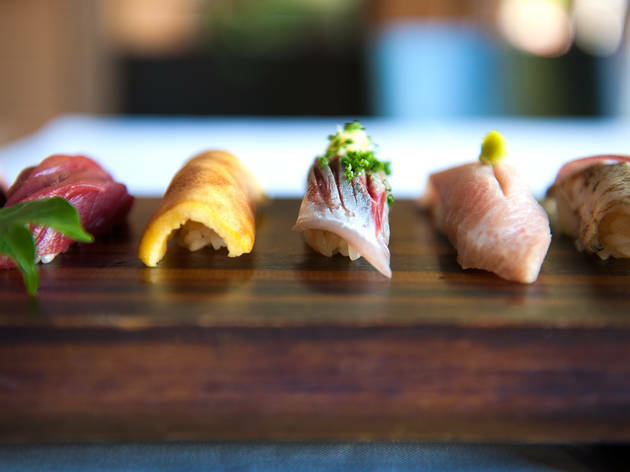 This Michelin-starred fish haven is headed by chef Jackson Yu, a local restaurateur and longtime Bay Area resident who has been honing his skills in the preparation of traditional Edomae-style sushi for two decades. 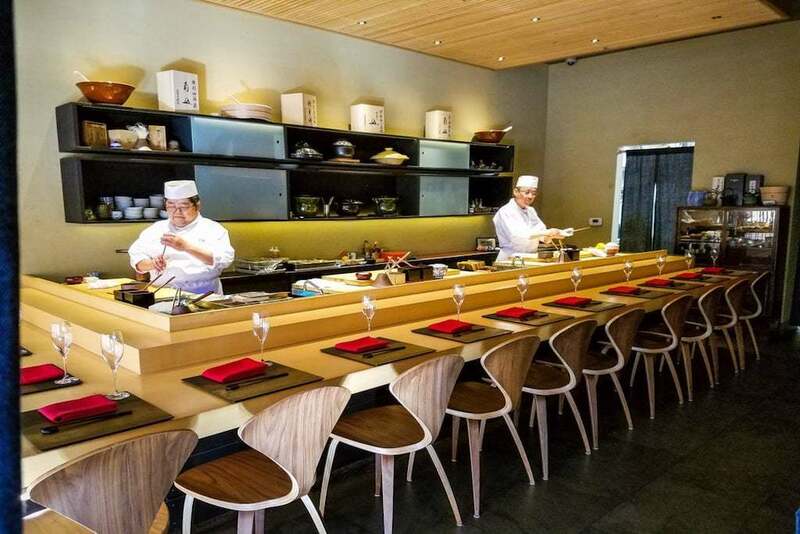 The restaurant offers two fixed-price tasting menus, the Hideaki omakase (two appetizers, one sashimi, ten pieces of nigiri and one owan for $150) or the Yamato omakase (two appetizers, two sashimi, one yakimono, 12 pieces of nigiri and one owan for $200). Nearly all the fish is flown from Tokyo’s Tsukiji Fish Market—shipments arrive three times a week and even the Gen-emon porcelain dishware is imported. 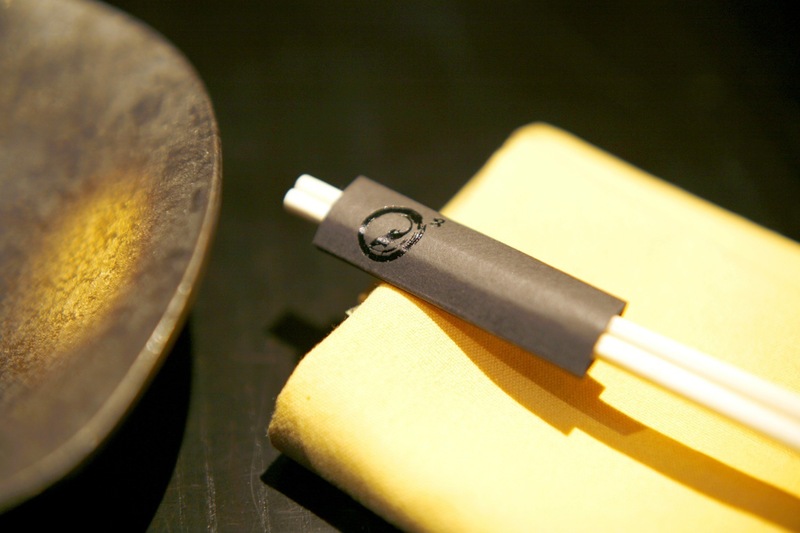 Splurge on the sake pairing, with is served in handcrafted Seikado pewter cups and pitchers. 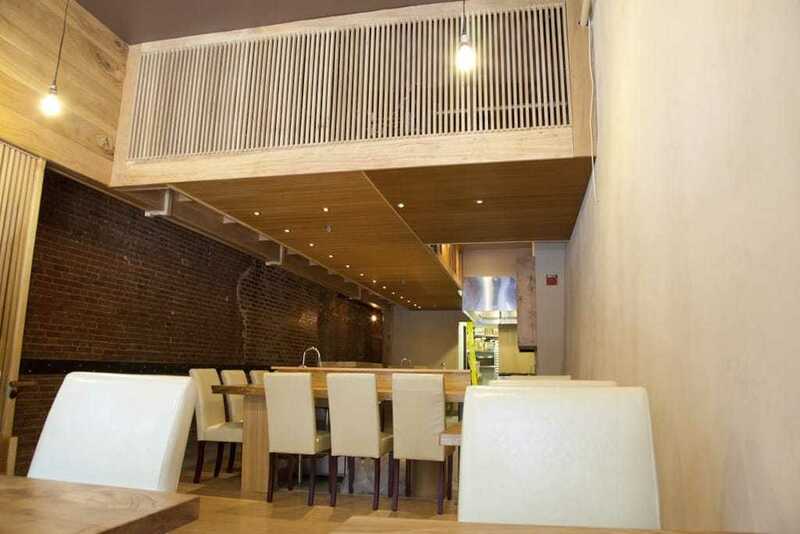 Hear the name Tsujita and you'll probably think of the popular ramen spot on Sawtelle. But Sushi Tsujita, another Sawtelle triumph, warrants just as much attention. 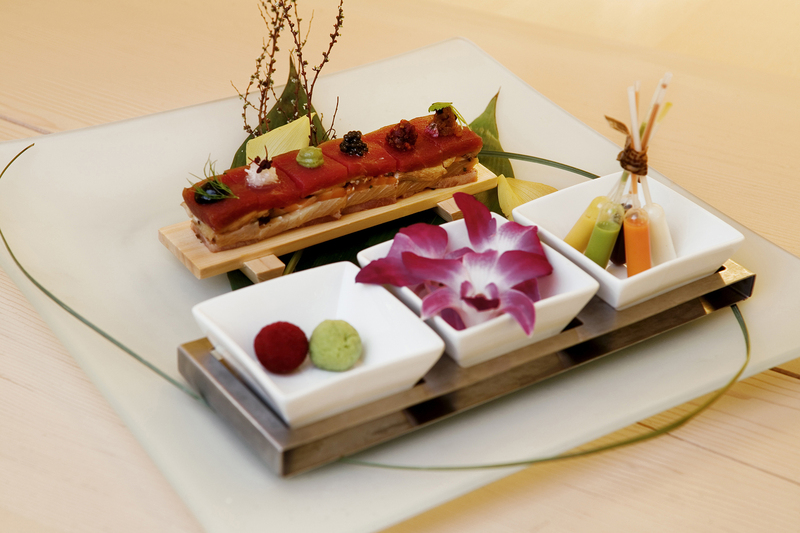 Chef Kato leads the way here, offering omakase and a la carte sushi in an elegant setting. 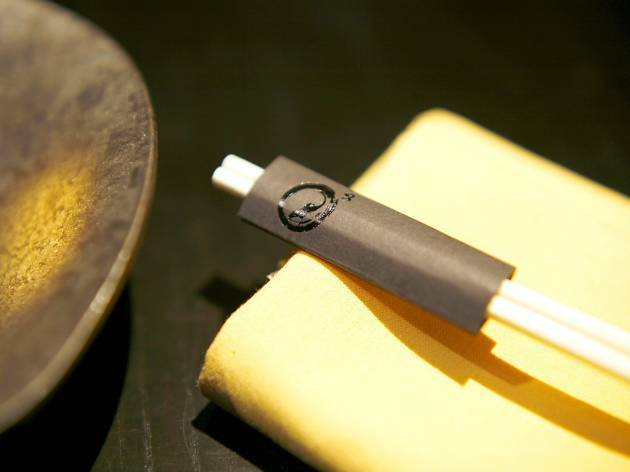 An omakase meal ranges from $140 to $180 and includes upwards of 15 courses. 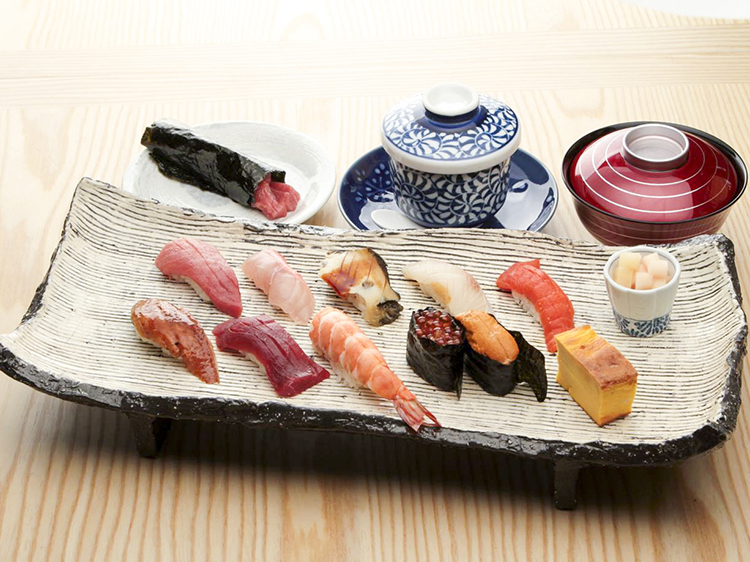 Pair your pieces of snapper, tuna, mackerel and more with beer, wine or sake. The best sushi in Washington, D.C.
Crave sushi? 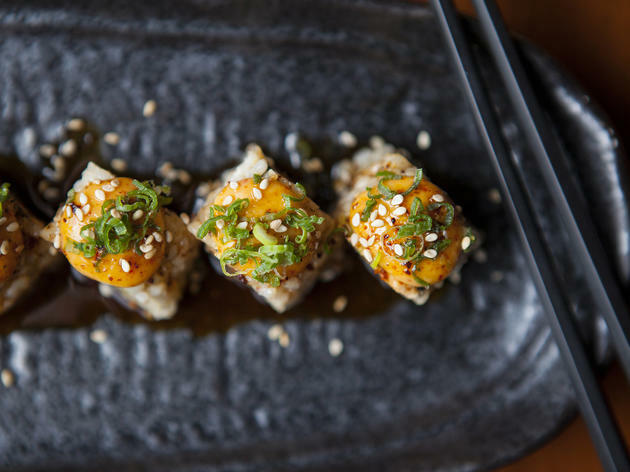 Washington, D.C. has a shoal of places for superior specialty rolls and swimmingly fresh maki and sashimi.